The experiences of Russia and the Soviet Union as empires, from the perspectives both of great power politics and also the government of large, diverse populations, has much to contribute to wider historical studies of empire and colonialism, where much of the focus has concentrated on Western European countries and their overseas colonies. 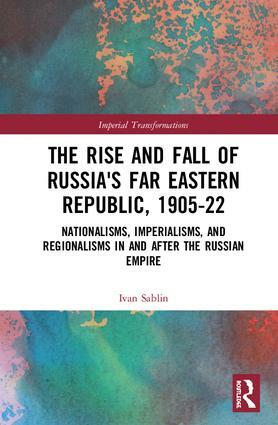 This series includes work on a wide range of subjects related to Russian, Soviet and post-Soviet empires. It covers work on the imperial peripheries as well as the imperial centre, on social, religious and marginal groups and the lived experiences of empire as well as politics and imperial elites, and on legal and constitutional frameworks and the intellectual underpinnings of empire. Besides the work of Western scholars, the series includes a strong strand of books from a new rising generation of very promising young historians from the region itself. Submissions from prospective authors are welcomed, and should be sent in the first instance to Aleksandr Semyonov - webpage:　https://www.hse.ru/en/staff/semyonov.